Click the links below for YouTube video presentations. Link to photos taken during the Mission trip to Missouri. Bookmark this page for information on BMAA local and world missions, as well as Newsletters, Mission links and information on the missionaries themselves. 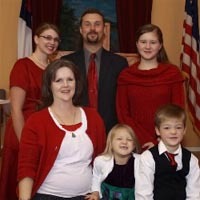 See most recent Walters family letter. For additional information on the missions we support please visit the BMAA Missions Website.